It may sound extreme, but a full-mouth extraction is a far better solution than you might think for ending oral pain caused by stomatitis. Several times a year, someone brings me a sweet, furry feline with a not-so-sweet-smelling mouth. Basically, the cat’s breath clears my waiting room. Often, the client has made the appointment because of the foul odor. Her cat may also be having difficulty eating, exhibiting mouth pain and/or losing weight. These symptoms suggest the cat may be suffering from feline stomatitis, a painful disease of the mouth. Most people think their cat is in need of “a dental” — they feel guilty because they may have let things get out of hand. But this condition has not occurred because of neglect. Stomatitis is much more serious than that. There are several different ways of treating it, but frequently this is a matter of control rather than cure — trying to keep the cat comfortable and reducing the soreness as much as possible. As they age, most cats develop some gingivitis. Home care such as brushing, dental diets and treats, and routine cleaning should help control the problem. Cats with gingivitis are not usually in a lot of pain. Stomatitis kitties, however, are suffering — big time. Gingivitis is limited to the small amount of tissue (gingiva) surrounding the tooth, whereas stomatitis means the entire mouth can be affected. In the worst cases, the inflammation, bleeding, infection and pain extend to the roof of the mouth and down the kitty’s throat. The tissue surrounding the rear molars can be extremely swollen, smelly and very painful. The cat may stop eating, and sometimes you may notice bloodstained fur on her forearms from where she rested her chin and drooled bloody saliva. Why Does My Cat Have Stomatitis? Stomatitis in cats is thought to be immune-mediated. This means that these kitties have a strange inflammatory reaction to their own teeth — more specifically, the plaque on their teeth. Because plaque lives on the tooth, and it is truly impossible to keep a cat’s mouth free of plaque, the teeth usually have to be extracted to solve the problem. Once the teeth are gone, the mouth usually heals up beautifully, and the kitty feels great relief. Feline viruses, including herpes, calicivirus, and FIV, play a role in stomatitis. But there are many cats with stomatitis who are otherwise healthy, do not have these viruses or do not suffer other consequences of these viruses. The good news is that if we can control the stomatitis, your cat should return to a happy and pain-free existence. A diagnosis of gingivitis/stomatitis is made by visual inspection of the mouth. A few conditions mimic gingivitis/stomatitis, and sometimes a biopsy is taken to rule out more sinister options (such as cancer). Screening blood tests can help identify precipitating illnesses (such as kidney disease). Dental X-rays are also useful in detecting damaged teeth or retained tooth roots (because these may act as a focus for autoimmune activity). How Is Feline Stomatitis Treated? When you or your vet first notice signs of stomatitis, some at-home care may be possible. But, again, don’t feel guilty about not keeping up with or solving the problem at home. Face facts about cats. 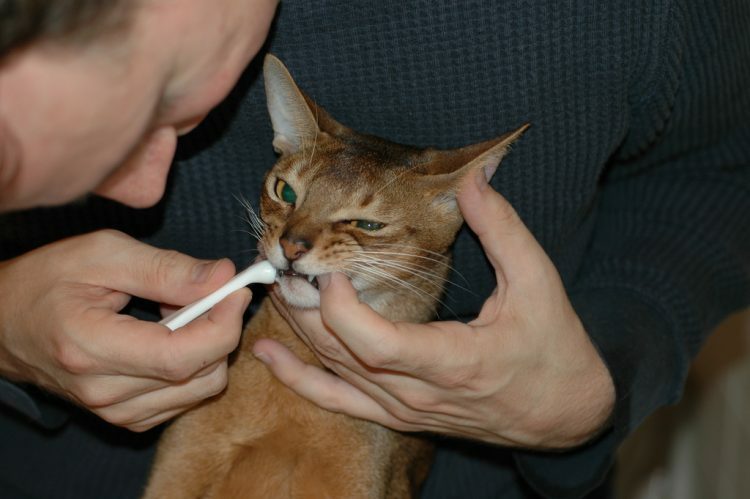 Felines with perfectly healthy mouths are often a challenge when it comes to oral hygiene at home. If a cat with a healthy, pain-free mouth tells you and your toothbrush to take a hike, just let the painful stomatitis cat give you a piece of her mind. Take yourself and your toothpaste far away, or this mouth will indeed bite the hand that feeds it. Before an extensive oral surgery, your veterinarian may recommend a professional cleaning, antibiotics, steroids or other immunosuppressive drugs. But these measures only control, and don’t cure, the stomatitis. And that control can be short-lived. The drugs also have side effects, so lifelong medical treatment is impractical, not to mention risky. Add to that the fact that medicating these poor kitties with pills or liquids can be as big a challenge as tooth brushing. Ending the oral pain with a full-mouth extraction, even though it may sound extreme, is a far better solution than having your cat on steroids or expensive immunosuppressives for the rest of his life. The easiest way to get your head around this nasty feline problem is to think of the cat’s teeth as enemies of your cat — the gums are attacking the plaque and the tooth. The extent of the extractions can vary. 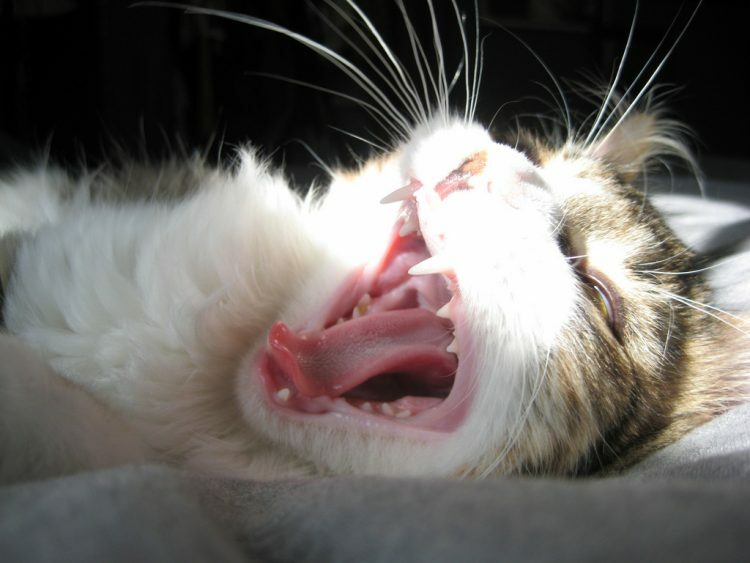 Some cats may need only some of their teeth extracted, usually beginning with the rear molars. Or your vet may choose to do the extractions in stages. Every case is different. Your veterinarian may refer you to a veterinary dentist. Feline teeth can be difficult to extract. They can break easily — and those tiny little tooth roots, if left behind, can continue to act like foreign enemies. It’s also ideal to take dental X-rays to verify that the teeth have been removed entirely. Removing cat teeth properly and with the least amount of trauma is, in my opinion, more of an art form than extracting canine teeth. Oh, yes, he will. And without pain. Oh, yes, he can. When the mouth is healed, most kitties will be gumming those tasty temptations to their mouth’s content! For many health reasons, however, canned cat food is still my recommendation for the bulk of the diet. This is a painful condition for your cat. He needs your help. Seek an opinion from a veterinary dentist if you are shocked by the idea of a total mouth extraction. This can be an expensive process, but it can give your cat a new lease on his remaining 9 lives. A small amount of cats may need medications, even after their teeth are extracted. These kitties generally need less medication than before the extractions, and are still living a life free of intense oral pain. Keeping the cat in good health helps strengthen the immune system and fight off viral infections, and vaccination against cat flu (herpes and calicivirus) and feline leukemia virus can reduce the risk. Apart from this, observing rigorous dental hygiene can reduce the severity and frequency of flare-ups. Because he suffered from stomatitis, Ivan’s family believed his hunting life would come to an end once we extracted all of his teeth. But within 1 month of Ivan’s oral surgery, he was still Ivan the Terrible to his local rodent population. His mom was finding Ivan’s favorite calling card all about the house again: mouse heads. Disclaimer: I love rodents too, but there is something called the circle of life, and there will always be Ivans in the food chain. “Gingivitis stomatitis in cats.” Williams & Aller. Vet Clin North Am Small Anim Pract, 22: 1362–1383. “Chronic stomatitis in the cat.” Gaskell & Knowles. Veterinary Annual. 28th edition. 246–250. This pet health content was written by a veterinarian, Dr. Debora Lichtenberg, VMD, with contributions from Dr. Pippa Elliott, BVMS, MRCVS. 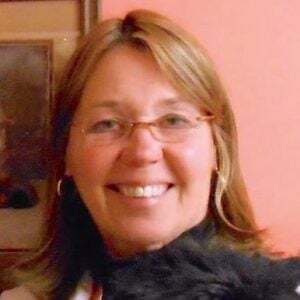 This article was reviewed for accuracy by Dr. Elliott and was last updated Dec. 9, 2018.